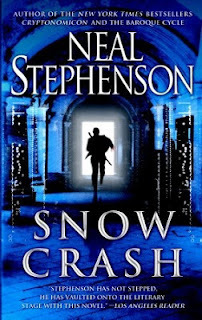 I’m not even sure where to start with Snow Crash. It’s the sort of book where the main character’s name is Hiro Protagonist, all pizza delivery drivers have to get a four year degree at a pizza university, and there’s an entire language (Taxilingua) just for cab drivers. The most completely realized idea is the Metaverse, which is basically the Internet in full 3D. The idea might seem less crazy now, but Stephenson dreamed it up in the early 90s, before most people had even heard of The Web. Stephenson’s description of the Metaverse is painstakingly detailed and covers everything from how people appear when they log in to what happens if their avatar is destroyed. The sheer amount of information Stephenson relays about the Metaverse displays his strongest talent: He can explain complex ideas very simply. I’ve previously read another of his books, Cryptonomicon, which contains even more difficult technical ideas than Snow Crash. 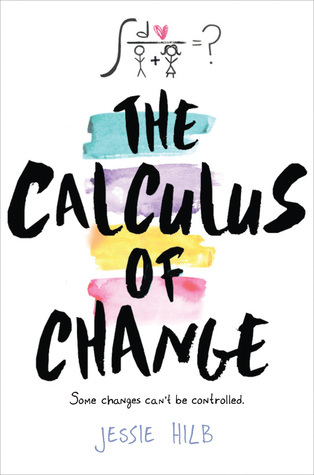 In both novels, Stephenson manages to explain complicated ideas using a simple and humorous style. He makes you learn everything you need to know to fully follow the plot, but the building blocks are chosen so well and are delivered so humorously that you don’t even realize he’s teaching you something along the way. I’m fairly certain that he could write ten pages about paint drying and I would be entertained. It’s a good thing that the world Stephenson creates is so much fun and that his writing style is so funny, because the actual execution of his plot leaves a bit to be desired. The grand strokes of the plot are excellent. The very first “computer drug” ever, Snow Crash, has hit the Metaverse streets. As it turns out, it’s more like a computer virus for a human brain and things only gets stranger from there. We’re talking a drug connected to Sumerian myth, the Tower of Babel, and an impending doomsday referred to as the Infopocalypse. Considering the fantastic nature of the antagonist’s scheme and the mind-melting nature of the ideas Stephenson presents, the minutiae of the plot itself turns out to be disappointingly generic. While there are some awesome moments (I will never be able to hear the phrase, “Listen to reason,” without thinking about this book), I was surprised at how pedestrian the final act felt. I had similar misgivings after finishing Cryptonomicon, which makes me wonder if he’s not better at dreaming up grand ideas rather than he is at actually executing them. None of the characters have much depth beyond “really good hacker” or “crazy Eskimo with nuke in his motorcycle that is wired to a dead man’s switch.” That said, when the bad guy’s one dimension includes “has a nuke in his motorcycle that is wired to a dead man’s switch,” it’s hard to complain. That particular fact leads to a hilarious moment where a bunch of cops helping the bad guy get away from a private security firm so the nuke doesn’t explode. Again: it’s that kind of book. There are so many awesome ideas packed into this novel in terms of character quirks and intriguing plot threads, but the disparate parts never seem to quite congeal. Ideas that seemed like they were heading in mind bending directions never quite pay off. Some of those intriguing plot threads are just left dangling. The whole doesn’t do justice to the individual parts. In a way, this book is like a big budget action movie. It’s tons of fun and I’d absolutely recommend it to anyone looking for a fun read, but it just seems like Stephenson is capable of making something so much better.